Ford is still struggling, California will meet with the Trump administration, a and a former UAW official gets prison. All of that and more in The Morning Shift for Friday, Nov. 8, 2018. Ford is still a hugely profitable company, despite Trump’s metals tariffs (which cost them $1 billion) and an $11 billion investment into its future. That future features no sedans except for the Mustang, and isn’t bleak for the company so much as highly uncertain. Which partially explains why Ford’s debt is now rated just above junk status, though, according to Bloomberg, it might be getting worse. Junk debt is the kind of debt that investors buy fully knowing it might never be fully paid back. The ratings also affect how much interest the company pays on its debt, which totals $150 billion. Bob Shanks, Ford’s chief financial officer, said on an earnings call last month that the company is committed to maintaining its investment-grade ratings, and doesn’t intend to lose that status again. The company is “moving with a sense of urgency and taking proactive steps to redesign and restructure the business,” and over time “the market will recognize our progress,” spokesman Brad Carroll said. The company remains in a precarious position. The state and 19 others have been at loggerheads with the Trump administration over emissions rules. Trump wants to roll back fuel efficiency standards imposed by the Obama administration starting in 2020, while also take away California’s long-held ability to make their own rules. Automakers, meanwhile, have been on the sidelines, quietly hoping their two parents stop fighting. That’s in part because no one really wants to deal with a split market. I don’t know where this one goes from here, since the automakers are at cross purposes with a presidential administration they should, on paper, support. The investor, ADW Capital Management, isn’t one of FCA’s top 100 shareholders, but its point is hard to ignore. FCA’s European divisions, including Maserati and Alfa Romeo, have been a drag, while Jeep and Ram continue to do well. Fiat’s reliance on the U.S. market was stark during the third quarter, when hot-selling models like the Ram 1500 and Jeep Wrangler led to North American operations generating 97 percent of profits. While return on sales in the region overtook Ford Motor Co. and matched General Motors Co.’s margin, Fiat’s valuation continues to trail both its rivals. Unions! We love them. And not only because Jalopnik is a union shop (Hello, WGA-E). But the UAW might be the worst of them, a (too?) mature organization that found itself engulfed in scandal earlier this year after a Fiat Chrysler executive admitted to $1.5 million in payments to union officials to influence collective bargaining negotiations. The investigation eventually ensnared a variety of other officials, two of whom were sentenced to prison on Wednesday after they were found guilty of federal charges. Said Mickens, “I done wrong and broke the law, and I’m deeply ashamed of my actions.” He said he had no one to blame but himself. The UAW might be too big and too old to save itself, and the organization so far has whiffed on unionizing any autoworkers outside of the Big Three. What is the UAW for? And who? They were supposed to next week, but Reuters reported yesterday that that’s now on hold. Nearly 1.7 million Hyundai and Kia cars have been recalled over defects in the cars’ Theta II engines. But some say that hasn’t been enough, and NHTSA, meanwhile, is also investigating. The reason the Senate hearing has been delayed is mysterious. 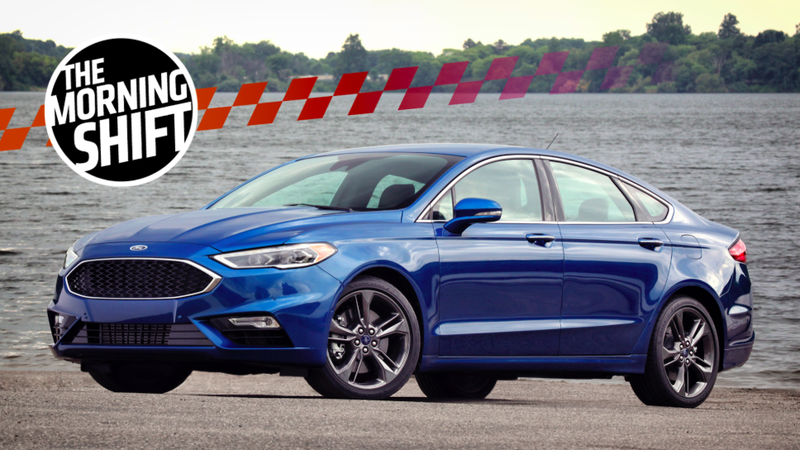 Neutral: Ford’s Going to Build Sedans Again Eventually Right?